Plan C exists to organise in, beyond, and against capital. We think this requires the development of ideas and practices that are able to cohere together whilst at the same time being dynamic enough to adapt to changes in our lives and our work. Whilst we try to avoid tying ourselves down to key principles and hallmarks, there are a few things that can be sustainably drawn on to broadly describe its form. Plan C is not ‘the organisation of the working classes’ nor do we see a necessity for one. We think that for the struggle against and beyond capital to remain dynamic, there needs to be continual cross-pollination between groups and communities whose experience of it has had different emphases and who have organised themselves differently, uncovering different limitations and asking different questions. We hope to be one radical anti-capitalist organisation amongst many. We do, however, see the necessity for structures of collective coordination between ourselves and others that can articulate our common experiences and develop shared practices with the aim of transforming life and changing the world. Plan C is such a structure at one level but seeks only to be part of such a structure at a broader level. Members are also entirely welcome to be ‘dual cardholders’ with other left groups. It’s up to individuals to decide whether other organisations and collectives they’re involved in are compatible with Plan C, although people should be open about other affiliations. We don’t have a leadership, a central committee, or a steering committee. The sovereign decision-making bodies at the national level are congresses (open to all members), and monthly intercongress proposals (discussed by all local groups). Any member or group can make a proposal for a course of action, policy, amendment to a policy, project, or national discussion. We don’t require members to toe the line. Minority groups within the Plan C are welcome to pursue courses of action under the Plan C name that the majority isn’t into (where logic allows it). A diversity of approaches makes for a much stronger organisation. However, we attempt to move continually towards shared strategic orientations to enhance the intellectual and logistical coordination within (and outside) the organisation rather than a centrally determined line or course of action. It’s great to be right but it’s even better to be exploratory. The structures and conventions of the old left are becoming less and less effective. Developing new ones means trying things out, getting them wrong, trying other things out. We are wary of models of social change developed in very different social and historical contexts and we are wary of models of social change that are subordinated to systems of ahistorical morality. We acknowledge our precursors, build on our influences, and try to minimise unnecessary reinvention but we are attempting to organise on a new and ever-changing terrain. Plan C is a tool or a resource for the development of social movements. As such it can be seen as a pocket in those movements or a resting point for when they’re dispersed or temporarily unrecognisable. It is not a movement in itself and it has no desire to seize control of any such movements. We’re happy to provide leadership in the sense of having good ideas that take off and spread but we recognise this as an always-temporary situation shared and swapped with a multitude of other communities, organisations, affinity groups, campaigns, and individuals. It is an organisation that we feel to be useful in the present historical moment and will continue only until this usefulness subsides. Plan C has several local groups around the country. Local groups help us support and look after each other in our activity and to make decisions as an organisation. Each group is made up of a least 3 members and meets in the first week of every month to discuss national proposals. Our members can also form clusters independent of local groups to work on particular areas of struggle or projects. These groups have autonomy to meet as they like and can make proposals to be discussed nationally. To deal with the day-to-day running of Plan C we have a National Secretariat divided into specific sub-groups (Admin; Care and Justice; Communications; Finance; Festival; Membership; Tech; Website editorial), as well as Regional Coordinators who interview applicants to join and support new members. We hold national congresses over a weekend every 6 months where we can discuss strategy, share skills and make decisions about organising within Plan C and any future projects. These are open to all members, with each member having an equal voice. Though it is not mandatory, all members are encouraged to go and it a great opportunity for new members in particular to become familiar with the wider organisation. 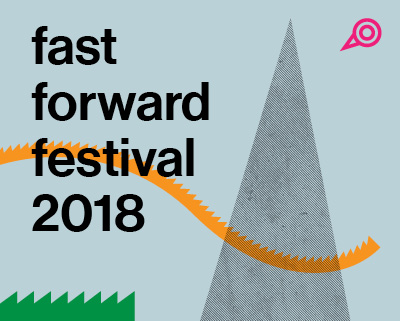 As well as our congresses, we also hold the mostly annual Fast Forward festival over the summer. This is intended for the wider movement rather than just Plan C and isn’t one of our decision-making forums. The festival have provided a laid back weekend to hold political discussions amongst fellow travellers. Local groups, clusters and secretariat groups have a large degree of autonomy to make their own decisions on their own projects, but if we need to make a national decision from the whole organisation between congresses then proposals can be made to discuss at monthly local group meetings. Where did Plan C come from? Good question! Some of our members in Leeds were interviewed by the Interventionist Left – a radical organisation in Germany – in 2012 about Plan C’s origins and practice. Whilst not all of it is up to date and the politics of Plan C are always evolving it does provide a useful overview of the origins of our organisation. To find out more about our current activity you can see our events page, blog or get in touch with us. 1. Plan C is quite an unusual name for a leftist organisation. What does it stand for? The ‘C’ is deliberately ambiguous. The assumption tends to be that it stands for ‘Commons’ or ‘Communism’. Either of these is acceptable but people should feel free to interpret it differently if they wish. It also has the advantage of sounding a little like the title of a 1950s American ‘red scare’ thriller. More importantly, it’s a play on the flurry of discourse around ‘Plan A’ and ‘Plan B’ that emerged in the UK once the crisis had dug its heels in after 2007. At the end of 2009, in a now-classic statement, the prime minister’s spokesperson told us “It is quite normal for government officials to be thinking about alternative scenarios [but] ministers haven’t asked for advice on ‘plan B’ because they are very clear that the plan we have is the right plan.” This plan, Plan A, is the plan that involves massive cuts to public spending, tripling of university fees, the ‘remodeling’ of labour and environmental policy, and tax breaks for the wealthy. In short, a neo-liberal plan focused on making Britain more ‘business-friendly’. Of course, just because ministers hadn’t gone looking for a plan B doesn’t mean no one else did. There are numerous Plan B’s. Some better than others, but all of them hovering in the vicinity of some form or other of neokeynesianism. We don’t want to unhelpfully dismiss these plan Bs out of hand. We think it’s exciting so many people seem to be questioning the ‘present state of things’ and thinking about alternatives. However, it is crucially important to note the absence of the same social and material conditions that ushered in the golden age of social democracy in the past. In the light of this, the Plan B(s), being called for by everyone from pragmatic capitalist economists to left revolutionary parties, seem little more than pie in the sky. So, we suggest a new plan, Plan C (perhaps centred on commons). We have no desire to present this plan as a prognosis; one of the problems with plan B after all is its inability to meet the dynamism and flux of everyday life under capitalism. We need plans that can change, rapidly if need be. We do however, see this plan as being centred on how we organise our social reproduction. The focus on the question of organisation that this necessarily engenders is another aspect of the name. We want to go beyond the plans A and B of political organizing. 2. What was the motivation for founding Plan C? Have you been involved in political activism before? Why were you discontent with those contexts? Plan C began, arguably, at a gathering of a couple of hundred people in Manchester. The name of this event was ‘Network X’. It was largely a one-man show and, were we to test it against the intentions of the organizers, was fairly disastrous. The gathering was called on the back of the volcanic arrival of a new generation of student activists whose occupation of the Conservative Party headquarters at Milbank had taken everybody by surprise. However, the organizers had mistakenly assumed that all that was required in order to incorporate this new generation into an already existing milieu of anti-capitalist and anarchist horizontalists was to introduce them to a tried and tested organizational model that had achieved results in the past. In this case, the model was Dissent! who had organized against the meeting of the G8 at Gleneagles in Scotland in 2005. Dissent! was a large, ‘open’, and informal network that operated on the basis of consensus. Anyone was able to join and decisions were carried at the level of regional and national meetings. The Climate Camp network, emerging partly out of post-Dissent discussions, also broadly took up this model of organizing. When it came to the Network X meeting not only did a new network fail to materialize in Manchester but many of the weaknesses of this form of organizing were usefully exemplified in almost comedic form over the two days where we witnessed interminable arguments about consensus processes, cataclysmic eleventh hour derailments of discussions and decisions, and unofficial hierarchies taking accidental control and then abdicating on a wave of shame and self-criticism. It was like a whistle-stop tour of why we couldn’t simply transplant the structures of a previous cycle of struggle. In the run up to this gathering there was a call-out for workshop proposals. Perhaps anticipating the problems that the gathering might encounter and building upon problematics articulated by the Free Association in the article ‘Re:Generations’, a group of comrades from Leeds ran a workshop entitled ‘What if there was a movement and we weren’t invited?’ The idea was to call into question the assumption that our forms of organising were somehow eternal, that we could bend the present to our structures rather than having to continually rethink and reimagine them. The economic crisis, and more directly the student movement, had ushered in for us a new era of struggle and it was clear that the left in its various existing incarnations was failing to find a place for itself The workshop itself was very productive and interesting. So much so that we reran it in Leeds where we had an even bigger turnout. At the same time, comrades from London, Manchester, and Nottingham who had been present at Network X ran similar discussions in their home cities. It was the organisers and participants of these discussions and workshops who met together over a weekend a month or so later at the first gathering of what would later be named Plan C.
Network X then, this anachronistic failure of an attempt to drag the old trebuchets of the alterglobalisationist movement over a transformed terrain, was in fact Plan C’s genesis. The question that emerged from this experience remains central to Plan C: How do we organise in way that engenders a dynamism capable not only of keeping up with the present and even of outrunning capital but also attain a coherence and solidity that enables us to weather the periods of low-intensity struggle?